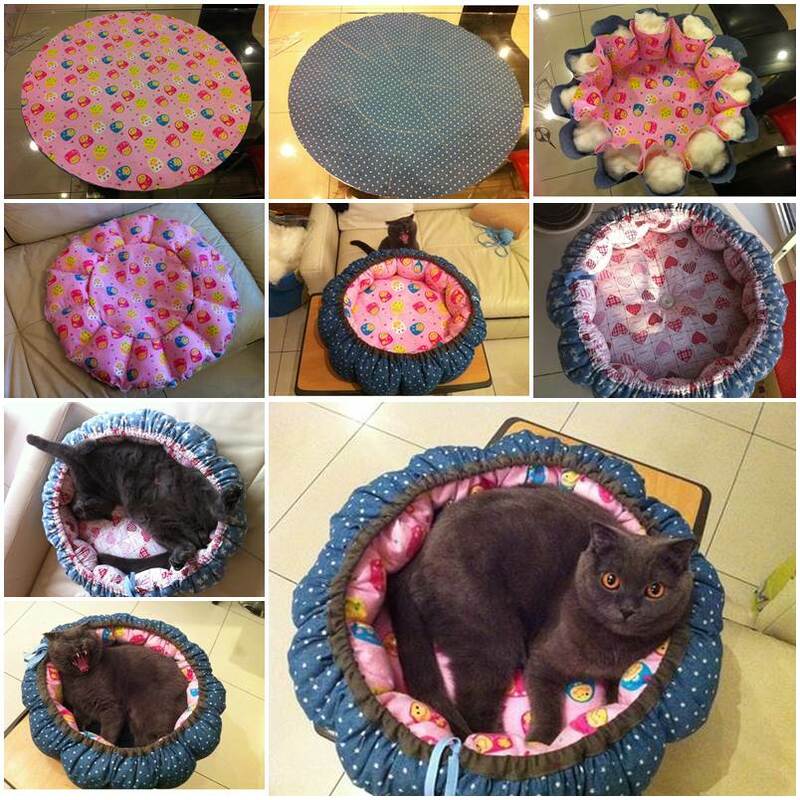 Scoochmaroo from Instructables designed this no-sew pet bed for her kittens because she thinks they deserve a soft, sweet place to sleep. 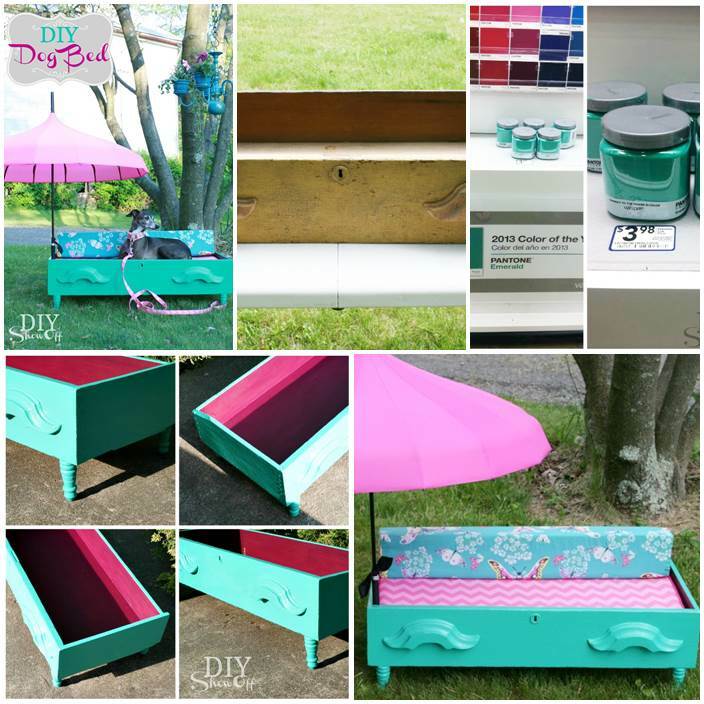 These beds are so easy and quick to make. 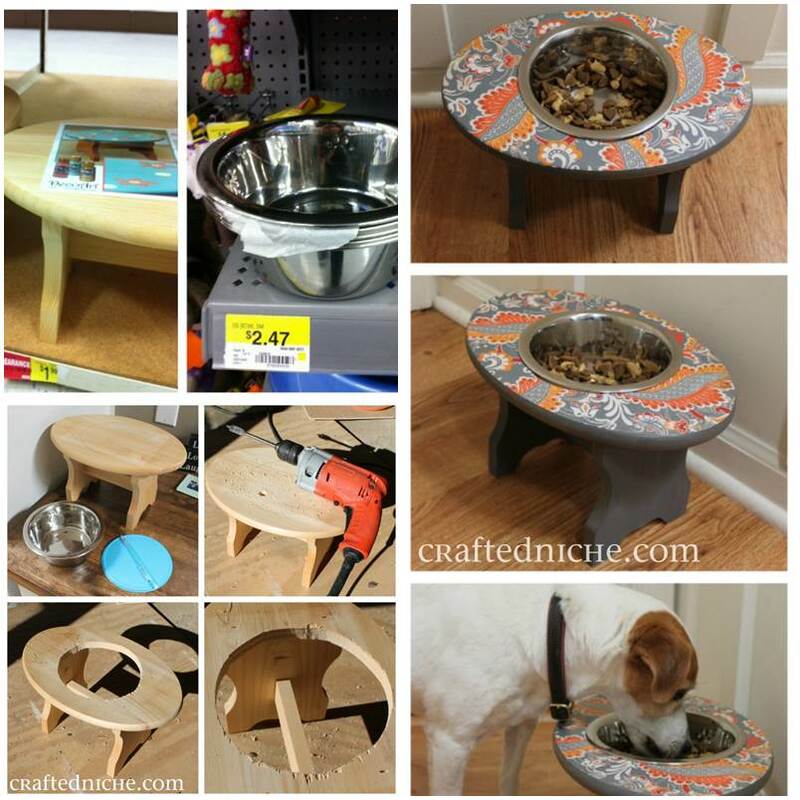 You can easily assemble one while watching your favorite half-hour TV show. 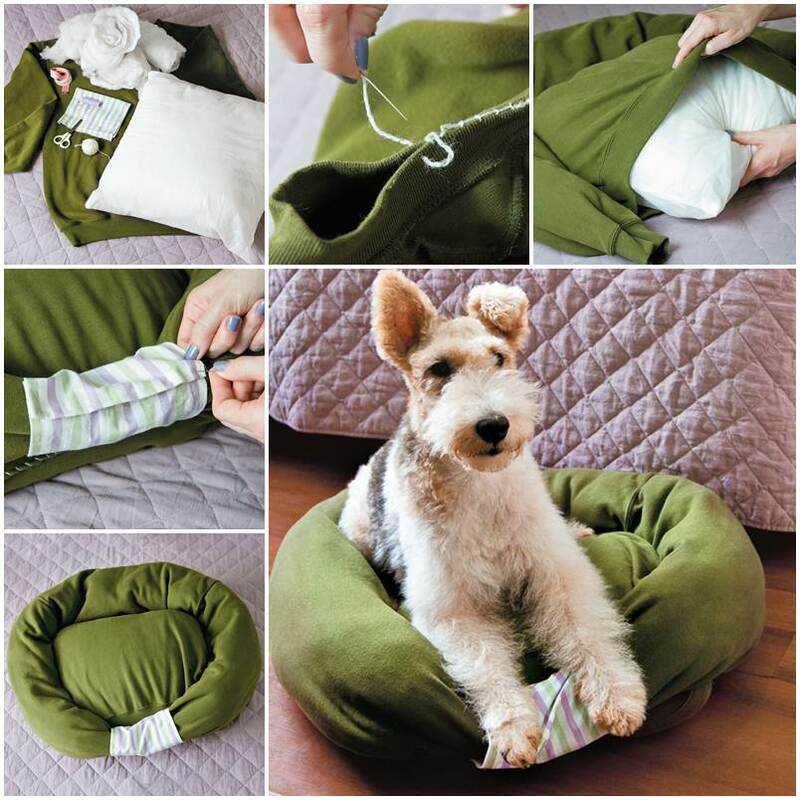 All you need is a yard of fabric, a bag of stuffing, and a pair of scissors, and you’re on your way to making a custom pet bed! She used two different patterns for each of her beds, but you can definitely make one from just one yard in one print. 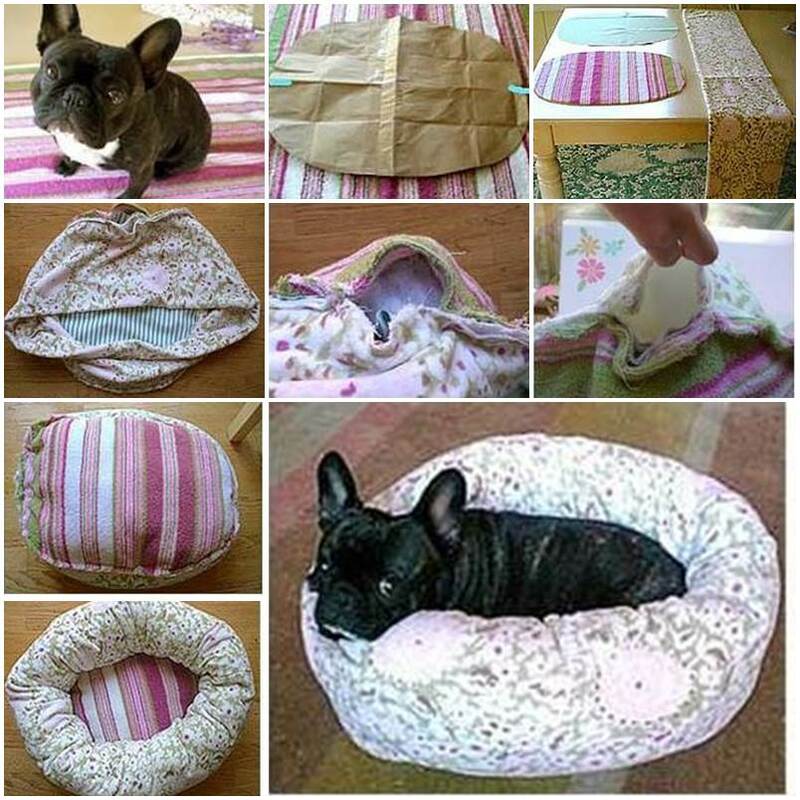 The following shows a graphic step-by-step DIY tutorial for making this no-sew pet bed. See how the cat enjoys the new bed! 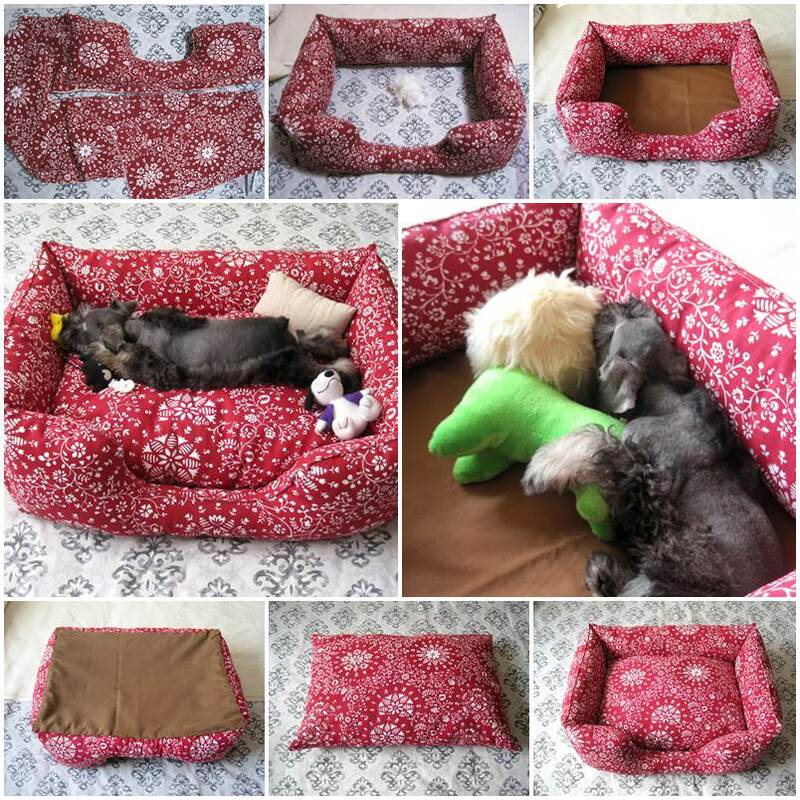 You can also view the complete tutorial via this link: http://www.instructables.com/id/No-Sew-Pet-Bed/?ALLSTEPS.